Last week, a box with two bottles of The Muddy Imperial Stout arrived at my door with a signed, hand-written note from Goose Island's Brett Porter. Seriously! And two new glasses too. 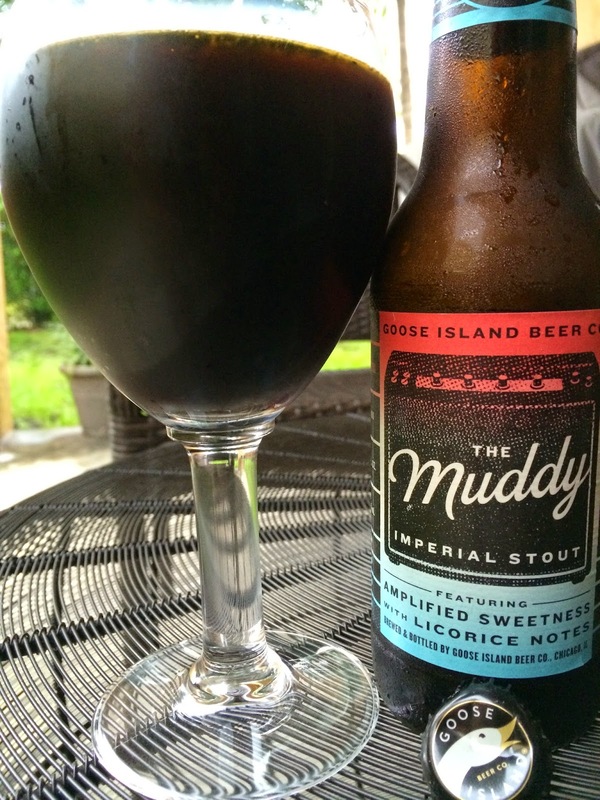 The Muddy is the third in Goose Island's new Imperial Series, and it was inspired by the famous Chicago Blues guitarist and singer Muddy Waters. The label shows an old-time Amplifyer on this beer which has "Amplified Sweetness with Licorice Notes." 9% alcohol. 32 IBU. Chocolate and brown sugar dominate the aroma, with a light roast and hints of licorice. Brown sugar and caramel sweetness start the flavors, with some spicy vanilla and licorice following. More in the background, roasted coffee, chocolate and pruney fruit flavors. A bit of an alcoholic streak joins each sip as well, a little annoying. Body is medium, a little low for an imperial stout. Creamy texture. The finish is long and sweet, but this is where the licorice flavors really build. A little too much in the aftertaste. Not bad, but I'll personally just wait for some more Bourbon County Stout!